IÉSEG is strongly committed to being an ethical, socially responsible, and sustainable organization. We recognize the importance of encouraging an environment that promotes effective learning and that provides the tools and competences that empower our students and staff to become responsible changemakers for a better society. Our Values, Mission, and Vision reflect this motivation to inspire change. 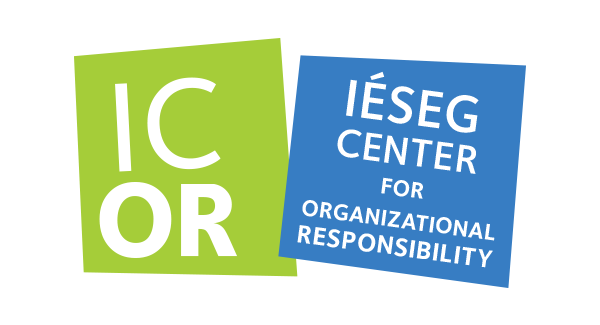 At IÉSEG, we believe that CSR must be embedded in the DNA of the organization and must be integrated transversally in everything we do: in the classroom, in our research, in our culture, and in our operations. IÉSEG aims to provide students with the knowledge and skills to be responsible actors in society. Integrating CSR into our students’ learning experience is thus essential. To do so, we base our strategy on the 6 U.N. Principles for Responsible Management Education (PRME). Throughout their time at our School, students are exposed to different CSR, sustainability, and ethics problematics in different management fields and different contexts. As part of our strategy, our goal is that by 2021, 80% of our courses should include a CSR dimension. Furthermore, our students have a hands-on approach to CSR issues via the 2nd-year solidarity project and the 3rd-year CSR Consulting project. This allows them to have a real-life experience on what social responsibility means for companies and the challenges they face in integrating these issues into their strategy and their day-to-day operations. Social responsibility can only be achieved through a collaborative process. IÉSEG works closely with its stakeholders in order to co-construct a common CSR strategy. The participation of students, faculty, staff, alumni, companies, and others is essential for our success.